This pretty bouquet is a real delight for anyone who loves roses. 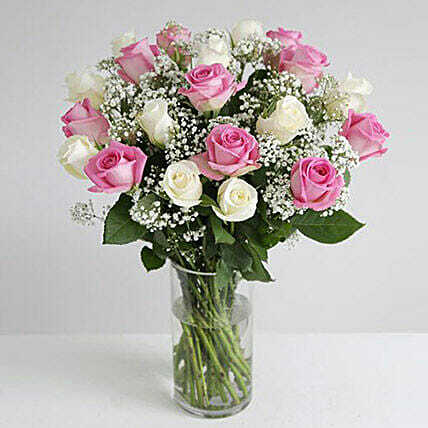 The sweet pink roses in combination with the pure white roses and lacy gypsophila make a perfect gift for Mother's Day. Certain to be received with pleasure, this Fairtrade bouquet is a truly thoughtful gift for every mother.